Anatomy of Fantasy is the dance-theatre performance elegantly mystifying, what combines the grace of classical ballet with the innovation of avant-garde dance in a way that can be spellbinding. A mixture of physical theatre and contemporary dance, 'Anatomy of Fantasy' often takes the form of a dream – simultaneously beautiful and disquieting, sometimes violently impressive. The demanding physical score provides incredible stage-images, and the tactile choreography occasionally approaches the sublime, as when the dancers dive under string and whirl scythes around. ‘THE most beautiful thing we can experience is the mysterious,” said Albert Einstein. “It is the source of all true art and all science.” One is reminded of this powerful truth whenever one encounters the work of Do Theatre. 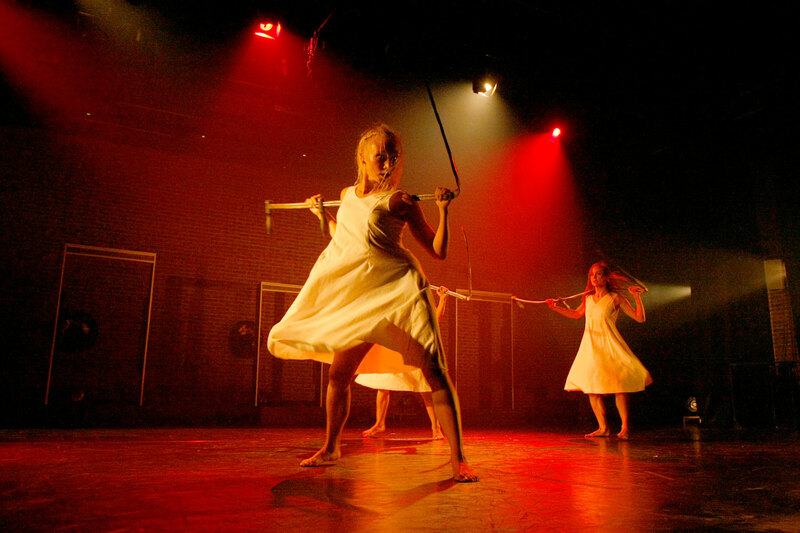 Founded in1987 as an experimental physical theatre company, DoTheatre is considered one of the most influential group to have come out of post Communist Russia. DoTheatre today is more then 20 years of professional staging in more then 30 counties around the globe (world). Triple Edinburgh Festival First award winner (1999, 2001,2007), nominated for: Total Theatre Award (2001, 2003), National “Golden Mask” Award 2008, “no-ballet” international choreography competition 2010. .… the dance has shades of Flamenco – is powerfully physical, yet also emotional, psychological and sexual; in other words, it is almost a representation of Anatomy Of Fantasy in microcosm. Anatomy of Fantasy is a shape-shifting fantasy full of mythical encounters, of tenderness, attraction and compulsion, of the passage of time and continuum of life – beautiful to watch. Miriam King. Total Theatre Magazine. With the support of City Aachen and Stadt Teater Aachen.